The Department of Justice has announced a new religious liberty task force aimed at protecting the rights of the religious across the nation. Attorney General Jeff Sessions announced the task force at the Religious Liberty Summit held earlier this week. Sessions will serve as chair of the task force, which will be co-chaired by Associate Attorney General Jesse Panuccio. In May of last year, President Donald Trump issued an executive order directing agencies to respect and protect religious liberty and political speech. 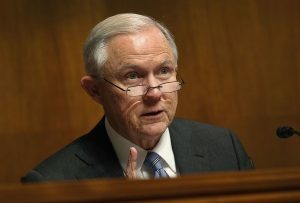 Shortly after, Sessions issued a religious liberty memorandum that outlined how federal administrative agencies and executive departments should interpret federal law to protect religious groups. It has been announced that the assistant attorney general for the Justice Department’s Office of Legal Policy, Beth Williams, will help the department fully implement the religious liberty guidance issued last year. The task force is operating under a broad mandate. In addition to advancing religious liberties across the nation, the group will also be responsible for engaging in outreach to the public, religious liberty communities, and religious liberty organizations. The task force will also be considering new strategies involving litigation, policy, and legislation regarding religious issues. The task force is already being challenged on the grounds that there is supposed to be a clear separation of church and state. Critics are also concerned that the task force will advance the rights of Christians at the expense of non-Christians and other groups that Christians tend to disagree with.